I have written about Thieme Drive on numerous occasions with my primary concern the construction of an atrocious, 1100-foot long, 10-foot high concrete wall along the river bank at the intersection of West Berry Street, Thieme Drive, and Nelson Street. But Thieme Drive has two issues that involve the St. Marys River – the wall is one of them. The second is the erosion of the river bank at the southwest end of Thieme Drive. Those who travel Thieme Drive on a regular basis – or live in the area – can’t miss the “Road Closed” signs at each end of the drive. The signs warn of the critical condition of Thieme Drive at its intersection with West Washington Boulevard. The approaching shore stabilization project, which has been let for bids, represents the culmination of years of starts and stops – many of which were impacted by the lack of federal funding. 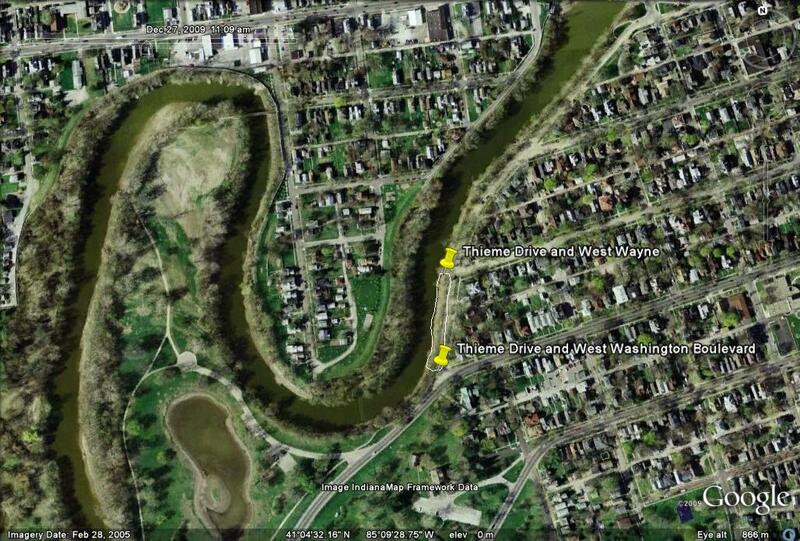 The Thieme Drive river bank erosion issue begins at the southwest end of Thieme Drive where it intersects with West Washington Boulevard and runs for approximately one block northeast to the intersection of Thieme Drive and West Wayne Street. The river bank has eroded from the natural processes of the river’s flow as it curves like a serpent through Swinney Park, along the southern edge of the Nebraska Neighborhood, and along Thieme Drive. Rivers – no matter how slow they appear to meander – exhibit a natural process called “cutting” and “depositing.” As a river flows, two forces work on the sides of the river banks. On the inside edge, the river flows at a slower pace and drops – deposits – its load of silt, rock, and any other materials that have been bounced and carried along. On the outside edge, the river flows at a faster pace, carving – cutting – into the outside edge of the bank and carrying away soil and undercutting tree roots. The process is a natural cycle and, ultimately, over thousands of years, will result in the curves coming so close to each other that a heavy flash flood will bisect the curvature, and an ox-bow lake will be born. The Google Earth image below shows the exaggeration of the river’s curves as well as the area of the river bank stabilization project. The stabilization project using gabion baskets is a much-needed repair of the river bank. The downside will be the probable destruction of many of the trees along the bank. The equipment necessary to work on the project will no doubt require access which will require removal of the trees. I am hoping that the Corps will take it easy on the existing vegetation, especially the long-standing elms and cottonwoods. Now as to the other issue – the flooding at my intersection – I will continue to fight against the erection of a concrete wall and the destruction of 1100-feet of river bank. Period. And now, the rest of the story – the real story that is. The City, through one of its engineers, continues to misrepresent and manipulate information about flood control measures along Thieme Drive located in the historic district of West Central. The City’s goal? To build a wall along Thieme Drive. Thieme Drive, one of the few remaining river drives still visible to joggers, bikers, and motorists, suffers from two separate and distinct issues that are the result of its location along the St. Marys River. The first issue involves river bank erosion. For a number of years, a section of the river bank located in the 900 block of Thieme Drive at the junction of Thieme Drive and West Washington has been subject to erosion during times of flooding. To understand why this happens, one must understand river dynamics. Rivers are not static entities – they are in constant motion. Over time, a young river begins to slowly deviate from its straight path and take on a more curved “S” form; it begins to meander. As a river begins to form curves over time, two dynamics are involved. The water on the outside of the “S” curve along the river bank moves at a faster pace, and the river cuts into the bank carrying away soil and exposing tree roots over time. On the inside of the river, the water moves at a slower pace and deposits soil. Thus, one dynamic cuts into the river bank and the opposite dynamic deposits. Eventually the river forms an exaggerated “S” and doubles back on itself. This process over time has led to the river bank along the 900 block of Thieme Drive to be slowly eroded to the point where little embankment is left. To resolve this issue, the Army Corps of Engineers undertook a Section 14 Study under the Corps’ Continuing Authorities Program (CAP). The Section 14 Study was nearly complete in 2004 when funding ran out and additional funding was not allocated in either 2005 or 2006. But the Section 14 Study was not the only study done in reference to Thieme Drive. The second issue that involves Thieme Drive is flooding at what I call the “cup” area located at the intersection of Thieme Drive, West Berry Street, and Nelson Street. I have lived in my home now for a little over 14 years – first as a renter and now as an owner. Since the City’s completion of a concrete wall in 2001 just across on the other side protecting the Nebraska Neighborhood, my intersection has flooded five times in six years: July 2003, June 2004, January 2005, February 2008, and March 2009. The City would argue that the Nebraska wall has nothing to do with the flooding at Thieme Drive. And, because it refuses to recognize the impact a wall in one area can have another area, the City continues to throw up more walls and levees, which I believe only increases the odds of more flooding in the Thieme Drive area. After all, it doesn’t take a rocket scientist to understand that if you prevent water from entering an area where it previously spread out, it will be pushed somewhere else seeking a lower spot on its route. While the flooding is traumatic and aggravating, the water does not enter the living quarters portion of my home. What little water I do get in my basement is the result of ground flow through the soil and not over it. The water also does not rise to the level of entering other homes in the area. Two garages which back onto Thieme Drive usually get water in them. In all five floods, I have never had to make one claim involving structural damage or personal property damage to my insurance company. I suspect – but I am not sure – that the other home owners also have not had to make any claims either. After the Flood of July 2003, the City asked the Army Corps of Engineers to undertake what is called a Section 205 Study under its Continuing Authorities Program (CAP). Although the study was done under the same Continuing Authorites Program as the Section 14 Study, it was a much broader study and included several different areas along the St. Marys. The results of the study were released on February 17, 2005, with findings that impacted several areas prone to flooding. One of those areas was the intersection of Thieme Drive, West Berry Street, and Nelson Street – the area where I live and where the recommendation was construction of an 1,100 feet concrete wall. Despite the fact that the Section 205 Study found, in reference to Thieme Drive and West Berry, that “the area impacted by the 2003 flood event is a relative small area”, the City pressed ahead with its goal to wall in Thieme Drive. I immediately contacted my West Central Association to let them know of my opposition to a wall and to ask for the Association’s support to prevent a concrete wall along the Drive. The Association agreed and let its position be known to the City. The Association then began a series of meetings with City officials to try to come to some resolution about the two different issues involving Thieme Drive. The Section 14 Study involving river bank erosion was at a standstill due to lack of funds, and neither West Central residents nor the City had any control over this fact. Thus, the focus was on resolving the flooding issue at the Thieme Drive, West Berry, and Nelson Street intersection. After a couple of presentations by the City and a charrette conducted during 2006 and 2007, a consensus was reached and a plan was sent to the City through two city officials who participated in the meetings. The plan was to construct a lower wall of about four-feet in height rather than a 10-foot wall which would completely destroy the river environment. The lower wall would be constructed with columns set at specific distances along the lower wall into which solid plates could be dropped when necessary to protect from higher river levels. In addition to the above ground wall, a slurry wall was suggested to block the flow of the water through the ground. Subsequent to presentation of the plan to the City, the City contracted with a local engineering firm to complete an evaluation of Thieme Drive for the purposes of proceeding with the suggested plan. Soil borings were taken in six different locations along Thieme Drive. Imagine my surprise – and no doubt the surprise of others who were involved in the discussions – when the evaluation dated October 26, 2007, of which I have a copy, came back with the findings that the area was fill and construction of the wall – even at a lower level – was outside the scope of what was considered “normal or usual construction”. In layman’s terms – it wasn’t feasible. The city has been aware of the gradual erosion, and says plans to stop it were presented to the neighborhood over the years. “Nobody could really come to an agreement on they wanted for the flood stabilization, so the projects been dormant now for about a year,” said City of Fort Wayne Engineer David Ross. The City does a true disservice to its citizens when it allows its officials to manipulate information which is known to be untrue. I have literally every communication – emails, studies, reports, and letters – over the past four years since the original Section 205 Study that involves the Thieme Drive area. To know that Mr. Ross has the audacity to go on TV and make statements that simply are not true is extremely disturbing. The truth is the Section 14 Study stabilization project – the first issue – did not have funding to complete the process and has lain dormant for that reason, not because West Central residents couldn’t make up their minds. And, the truth is that the plan proposed to the City by West Central residents to resolve flooding at the Thieme Drive intersection – the second issue – could not be implemented because of the nature of the soils and the inability of the City to fund the project, again not because West Central residents couldn’t come to an agreement. It is no secret that I oppose a flood wall on Thieme Drive. And, the neighborhood association also does not want a wall. So when I am called an obstructionist by a certain neighborhood resident who lives at the end of Thieme Drive where it joins W. Washington – at an area that does not flood – he is also calling the rest of the neighborhood association obstructionists as well. No one in his or her right mind would want a 10-foot high wall in front of his or her home. Perhaps that is the issue, since the vocal resident doesn’t have to worry about flooding and having an ugly wall in front of his home. That position shows a total lack of respect for others who are impacted. I very seldom write specifically about another individual, but his inaccurate statements about me and his posturings on his blog require me to straighten out his misguided view of just how he thinks he is impacting our area. The elder gentleman who lives at the junction of Thieme Drive and W. Washington has deemed himself the savior of the neighborhood. His blog touts how he thinks he has “called me out” and “stepped on some toes.” I guess as one gets older, the mind plays tricks with what actually happens. And, it isn’t my mind. Since he refers to the person he disagrees with as the “secretary” of the association, I guess that means everyone pretty much knows he is talking about me since I am the secretary. First, Thieme Drive has been the subject of two separate studies. The initial study is a Section 14 Study that has looked at the area at the intersection of Thieme Drive and W. Washington Bloulevard where the elder resident lives. The edge of the river bank has eroded to the west of his house, and the Corps will eventually need to do repair work. I have no problem with that. But what I do have a problem with is his attempt to lump that project with the second project which is a Section 205 Study of the “cup” area of Thieme Drive where I live. The two are separate projects, and cannot be lumped togther to create a false impression that the Section 14 repair work is being delayed by our efforts to preclude a building of a flood wall. He even goes so far as to mislead by saying that my opposition and those who also oppose the wall led to the funds for the repairs in his area being diverted somewhere else. That simply is not true. Congress has not funded the repairs in his area; it has nothing to do with our opposition to a flood wall. Anyone can go to Corps website and see the information for the Section 14 Study. The City has continued to work on the other areas it had originally targeted. The elder appears to not have followed what has transpired over the past few years. The neighborhood association voted to oppose the wall, and he just can’t stand to think about it. And, as to my house, I didn’t put the lattice around the house. He needs to look around the neighborhood and get a new pair of glasses. My home is certainly not a run-down home. This is my home – the one he refers to as one of the most run-down on the street. Since the above picture, I have replaced the front porch steps myself. 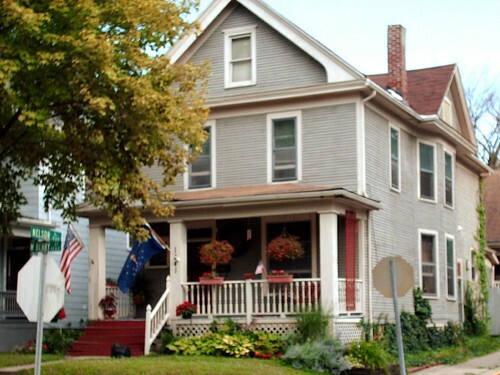 During the summer, I have numerous people tell me how beautiful my front looks with my flowers in bloom. I guess I am not sure why is so vindictive against me other than I disagree with his rantings. “I vented a lot of crap last night in my previous post and this morning I thought about editing it. For now, I’ll let it stand. Everyone tries to be nice at the neighborhood meetings, and I’ve tried to abide by that. The only ones who get strident are the obstructionists and status-quo advocates, and it’s hard to get heard. I truly am not sure how this man thinks he is so important. I dismiss his comments as those of a grouchy, old man. As to calling me out? He has to be kidding. An individual who works for the City explained that we were going to look at the modified version of a plan that we had all agreed to a couple of years ago. We had a civil discussion about the issue with no “calling out” whatsoever. To read this elder’s blog, you would think we were yelling and screaming at each other. The elder also does a disservice to our neighborhood meetings. He makes statements that make it sound like he doesn’t get to talk because of the “obstructionists and status-quo advocates.” How he can in good conscience publish this false information is beyond me. He has always been able to talk at the meetings, and no one interrupts him or shouts him down as he would have others believe. This is truly a disservice to our meetings and to the efforts of all of us who believe that we have problems that need to be discussed. The purpose behind neighborhood associations and neighborhood meetings to work on problems and issues that impact the neightborhoods. Not everyone will agree, and that is natural. The elder just doesn’t seem to be able to accept a different point of view than his. At last month’s meeting his idea of modifying the Thieme Drive and W. Washington Blvd. intersection was accepted and the City is looking into taking his idea and implementing it. I am really puzzled that he would try to convince his few readers that he is denigrated, not allowed to talk, and, in general, drowned out. I guess this is one of the downsides to internet blogging. People can say whatever they want, even if the statements are lies and those who read the lies do not know the difference. I feel kind of sorry for the older gentleman. He is very bitter about his area not being repaired, so he thinks the only way to combat that is to spread lies and misinformation about my position as well as the rest of the neighborhood’s position. 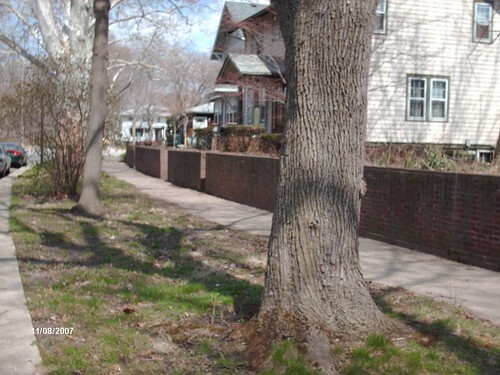 Sorry, Mr. Elder, I and the rest of the neighborhood association oppose a 10-foot high wall along an historical drive. If that is something you cannot accept, that is no reason to personally attack me and villify me for a position I am entitled to hold. I have never once attacked you on my blog, so I am not sure why you feel you need to be so vindictive. Fairmount Place has now become not only a site upon which a disputed structure was to be built but also the subject of how it landed in the hands of the Rescue Ministries. In today’s Journal-Gazette, Tracy Warner details the convoluted journey of the property from the point of its purchase in 1984 as buyouts of flooded homeowners to its present ownership by the Rescue Ministries. Along the way, taxpayer purchased property that should never have left the hands of the City ended up providing a hefty profit to a private individual, Dyle Hughes, who by some means came into possession of the property in 2002. Warner’s article notes that City officials said they were unclear about the chronology of events that led to a monstrous profit for Mr. Hughes. And well they should be confused. Public records indicate that Hughes ended up with 14 lots in the 400 block of Fairmount Place with a total assessed value of $37,200. Hughes purchased one lot from Jean Markey as a trustee. But the 400 block of Fairmount Place lots wasn’t the only piece of Fairmount Place that Hughes cornered. He also held 13 lots in the 500 block of Fairmount Place, all originally owned by Housing and Neighborhood. These 13 lots had a total assessed value of $35,000. 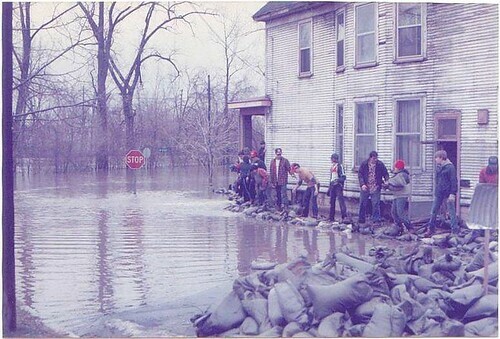 The Corps needed access to the St. Marys River in the Fairmount Place area as a part of its flood mitigation projects undertaken after the Flood of ’82. But Hughes owned land that stood in the way of that access. Hughes stated that he suggested a land swap but that the City rejected this form of transfer, so Hughes paid his $8,800 and the Corps gained access to the St. Marys. The transfer of the properties was recorded on August 9, 2002. My question is this. Why did the Corps need access to the St. Marys River that required so much land that Hughes was able to ultimately snag at least 27 lots on Fairmount Place with a total assessed value of $72,200 for a mere $8,800? The minuscule amount of investment by Hughes turned into an inflated sales price of $525,000. To add to all this confusion, the properties bear conflicting zoning designations. The “grant deed” dated February 11, 2008, lists 400 Fairmount Place as zoned condominium (residential) while the other lots reflect a residential zoning classification. Only one lot appears to bear a commercial designation and that is the 437 Fairmount Place, the lot owned by Jean Markey and later purchased by Hughes. The City alleges that property buyouts in the old days did not require that land be left vacant; however, by the time of the Corps’ initiative in 2002 – almost 20 years after the original buyouts – in the Fairmount Place area, the City could surely have insisted that property not be sold to a private investor. Now, 25 years after the City’s buyout of flooded Fairmount Place properties, those properties have become the focus of questions about just how those properties ended up in the hands of Dyle Hughes for a pittance, and, later, the hands of the Rescue Ministries for a price tag of $525,000 – especially when they should not have been sold at all. River front development in Fort Wayne, for the most part, is a phantom dream, and we should accept this fact. Our City – and anyone who knows me understands that I love this City and where I live – sits at the end of the Great Black Swamp – a swamp that originally stretched from Sandusky, Ohio, to Fort Wayne, Indiana. The swamp’s dimensions were about 120 miles by 40 miles – an area as large as the Everglades. The Great Black Swamp was the creation of retreating Wisconsinan glaciers some 20,000 years ago, leaving ridges called moraines which acted as a catch basin for water storage. At the bottom of the catch basin lay a layer of clay. The swamp was a veritable hotbed of disease and maladies born by insects. The soils of the area were – and still are – heavy clay and retain water. This swamp, drained long ago by efforts of human ingenuity, hard work, and determination, has had a dramatic impact on our City and its three rivers. Our rivers are unique. Most rivers in Indiana flow southwest to eventually join the Ohio River, but our three rivers take a different course. 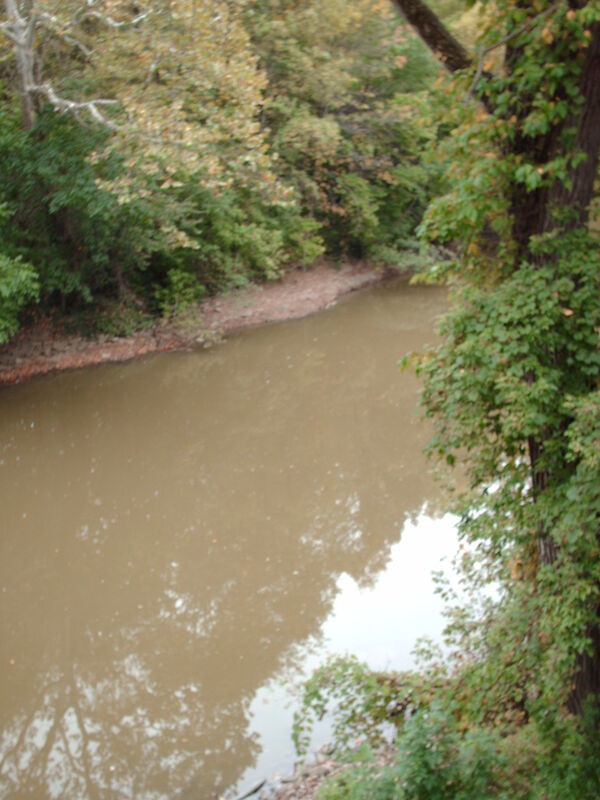 The St. Marys River arises near St. Marys, Ohio, and flows northwest until it enters Fort Wayne. By the time it flows by my home in West Central it has changed direction and is beginning to turn northeast to join the St. Joseph and the Maumee at the confluence. The St. Joe River originates in Michigan and journeys southwest to join its two cohorts – again at the confluence in the heart of Fort Wayne. The St. Joe and the St. Marys lose their identity at the confluence and merge into the larger Maumee River. All three rivers then flow northeast to finally empty into Lake Erie. The combination of deeply deposited clay soils, the low-lying nature of the land upon which Fort Wayne was built, and the joining of three rivers virtually covering all corners of Fort Wayne, make development of our river banks a difficult if not impossible task. The best option for our levee, berm, and flood wall hidden river banks is to clean them up as much as possible and to improve small areas amenable to such improvement. The Great Black Swamp is long gone, but its legacy lives on in the underlying history of our soils and river environment. As human beings, the tendency is to believe that we can control all things, but with our rivers, the best option is to understand them and to work to make them more beautiful by grooming them to highlight their natural state – unhidden by continued construction of barriers. City Council couldn’t quite get its act together to make a decision that would have allowed a worthy and much-needed women’s shelter to begin construction. Amidst bickering and heated debate, the Council voted to delay its decision on whether or not to vacate Fairmount Place – a ghost of a street that leads to a deadend – so that Charis House could build a women’s shelter which takes in women and children in crisis. While mouthing platitudes to the goals of Charis House, the Council bought into the the much maligned pretext of “river front development” as well as the argument that the structure “just wouldn’t fit” into the Wells Street Corridor of businesses. The Council caved to arguments by the Wells Street Merchants that the vacation of Fairmount Place would wreak all kinds of havoc in the area including stopping river front development, building a structure not compatible with the area, and deviating from the goals and objectives of Plan-It Allen and neighborhood plans. The design of Charis House is considered “suburban” in nature, which apparently is anathema to the neighborhood despite the fact that Wells Street is a composite of eclectic building styles with no one prevalent design. The Wells Street business corridor – as it is known – is home to older buildings such as Klemm’s, Hyde Brothers, and the Pantry. But it also hosts more modern, suburban-looking buildings such as the building that houses an engineering firm, two strip malls, and a grocery store – buildings which are by no means urban in design. To argue that the Charis House building would not fit is simply a smokescreen. The design is not fancy – it is functional. It is a two-story building about the size of the funeral home down the street to the north. The site will be about 30,600 square feet – approximately 175 feet by 175 feet. My home sits on a lot which is 100 feet long, so the size of the building is about twice the length of my lot. It will sit back from the street and will be landscaped according to City standards. A parking lot will be situated in the front of the structure – another complaint from the Wells Street merchants despite the fact that other businesses have parking lots located in the front of their businesses. Again, another smokescreen. But the most disingenuous attempt to persuade City Council to deny the vacation of Fairmount Place is the flawed argument that building Charis House will hurt river front development. What river front development and when? 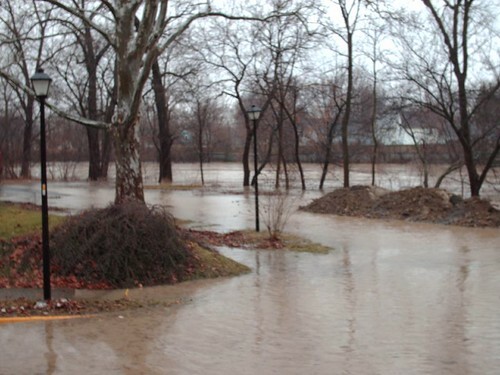 The St. Marys River, which is the primary river flowing through Fort Wayne and the river which has been touted as the one most amenable to development, tops its banks on a regular basis. Almost all land lying along the river is located in a flood plain. State statutes preclude development in a flood plain and/or floodway, so my question is this – how will the river bank be developed when it still lies in a floodplain? In addition to location in the flood plain, most areas of the St. Marys River are hidden behind lengths of levees, berms, and flood walls – barriers which prevent views of the very river which so many want to develop. Again, another smokescreen. While river front development may be feasible in limited areas along the St. Marys River, it should not be undertaken in the area touted by the Wells Street merchants. What a shame the City Council got caught up in a debate that boils down to a choice to help women and children or a choice to buy into disingenuous arguments that do not hold water, and, instead, fall back on arguments that appear on their surface to be legitimate yet underneath are lacking in foundation. Tuesday night’s City Council chambers became the scene of the classic Not in My Backyard (NIMBY) nonsense that tends to surround the location of many group homes and shelters. While many genuflect and pay homage to helping others through shelters and homes, when it comes to locating such an establishment in a neighborhood, the generosity tends to take a flying leap out the window and the NIMBY syndrome rears its head. Such was the case when Charis House decided to relocate its women and children’s shelter to a vacant, littered piece of land on the west side of Wells Street just to the north of the Wells Street bridge. The current shelter located on W. Washington Blvd. is unable to keep up with its mission of providing for homeless women and children. The new shelter will double the bed capacity from 44 to 88, but the choice of location has caused Wells Street business organizations to cry foul. 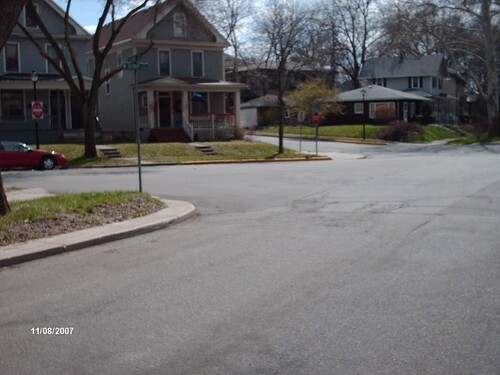 In order to build on the location, the City Council must approve of the vacating of Fairmount Place – a short, not quite dead-end street that is surrounded by dirt, grime, and overgrowth – located at the southern end of the Wells Street business corridor. Using potential future development along the banks of the St. Marys River near the Charis House location – albeit hidden by an earthen levee – as the reasoning behind their opposition, the merchants argued that City Council should not approve the vacating of Fairmount Street on the theory that vacating the street would destroy the only way future business and development could reach the undeveloped river bank property. What really is going on is the dislike for the idea of a shelter being built in the area. The Google image above shows the location of Fairmount Place with Commerce Street just to the north. The Charis House building site – composed of a 30,600 square foot shelter and its surroundings – would straddle the vacated street and extend to the north of the street. The Wells Street business owners argue that the completed site will cut off access to future river bank development; however, what has to be kept in mind is that an earthen levee prevents a view of the river in the area to which the business owners refer. 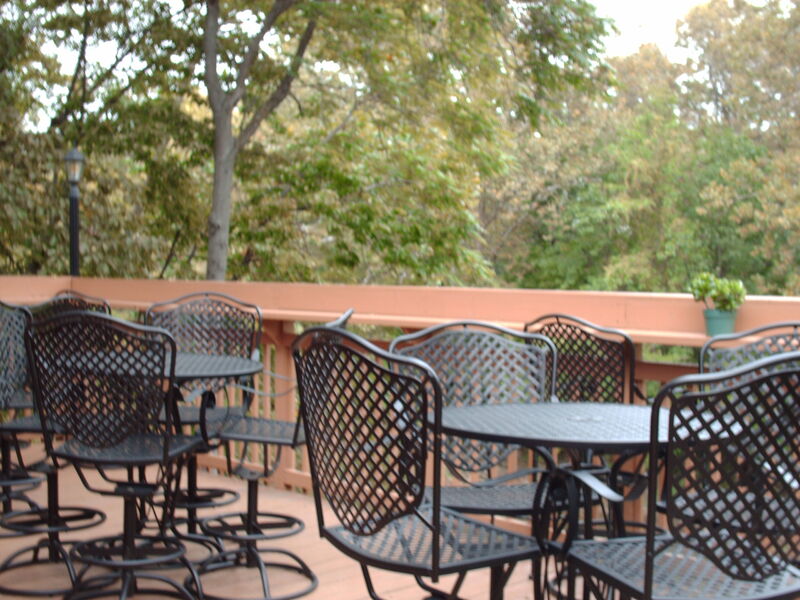 Even though the levee stands between a view of the river and any development that might arise in that area, reference was still made to the deck at Hall’s Gas House and Club Soda, presumably to create in the minds of those to be swayed of the potential for a similar view along the strip of land in question. 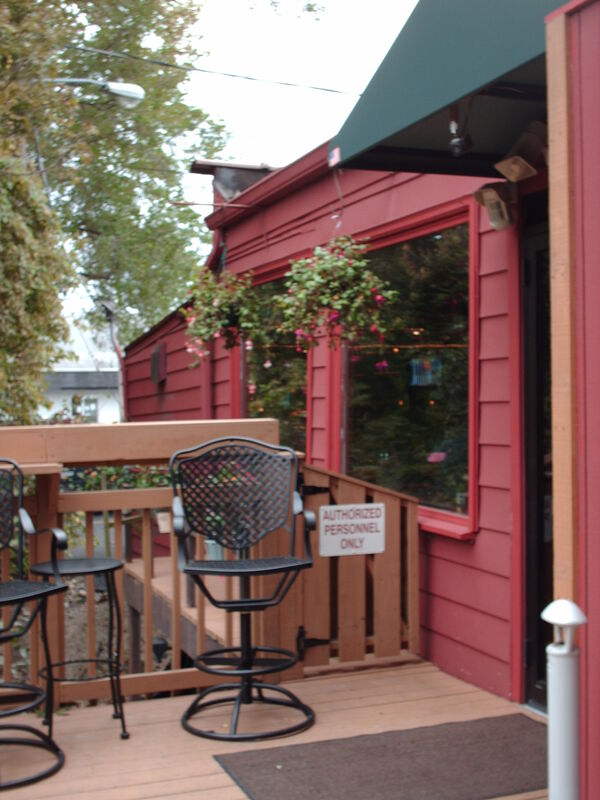 Frankly, I don’t get the connection since the wonderful Hall’s deck – better known as Nick’s Lounge – is built right on the edge of the St. Marys River with no intervening levee, and Club Soda was not originally a restaurant with a view. But the connection I do get – whether the Wells Street business owners want to admit it or not – it the connection between a shelter and the all-to-alive-and-well NIMBY syndrome. The City doesn’t seem to want to quit messing up the banks of the St. Marys River. After the Flood of 2003, the City requested a Section 205 Study of the St. Marys River for the purpose of deciding where more levees, walls, and earthen berms would be slapped up. A Section 205 Study of the Flood Control Act of 1948 as amended is a partnered effort between the U.S. Army Corps of Engineers – which doesn’t have exactly the best reputation for its plans – and a governmental entity. In this case, the governmental entity was the City of Fort Wayne – also known as a sponsoring agency. The Section 205 study was released in February 2005 with “recommendations” as to four different areas prone to flooding along the St. Marys. One of the recommendations – which I oppose and have since the Study was released – impacts the river and Thieme Drive just across from my home. A project which I suspect is still in the back of the minds of the City planners is to erect a god-awful concrete wall along Thieme Drive in West Central where I live. This is the “cup” area – as I call it – that floods at the intersection of Thieme Drive, Nelson Street, and West Berry Street. The water does not come into the several homes that are impacted, which were built high enough that the water remains lower than the first floors of the homes. The flooding is certainly an annoyance, but it is not critical enough to call for the destruction of one of the only river drives left in Fort Wayne. As to the other projects, the City is well on its way to implementing the Study’s recommendations regardless of the impact on other areas along the river. The City recently completed the 5400 foot levee and wall project extending from the Airport Freeway to Hartman Road along the east side of the St. Marys River. Another project is now going full steam ahead, and that project will be constructed at the Park-Thompson area along the St. Marys River. Here is the issue and my concern – every time a wall, levee, or berm is erected, it shoves water somewhere else. Water finds a way around barriers. Each time the City takes a short-term approach which, granted, generates “oohs and ahs” of relief for some areas, residents of other areas are subjected to increased concerns about displaced river waters. Unless the City frees up some storage area to provide a relocation area for displaced waters, the chances that another area will flood more extensively are increased. After the Flood of 1982, the Corps and the City undertook several phases to wall in the City’s rivers. A final phase was built to protect the Nebraska neighborhood – a section of the City lying to the west of downtown and accessible by the Main Street bridge. Since the completion of that phase in 2001, my area has flooded four times in five and a half years: July 2003, June 2004, January 2005, and February 2008. I have lived in my home now since 1995 – 14 years this month, and prior to 2003, the area rarely flooded. But after completion of the Corps’ projects, this area has flooded several times in just a few years. Now with the City’s continued straight-jacketing of the St. Marys River with its additional projects, I suspect that we will see an increasing number of floods in certain areas. And what will the City’s response be? Why, to try to put up more walls and levees – the process is never-ending. All one has to do is to look at the photo above of the Flood of 1982 and its range to see that there aren’t enough walls and levees to protect every section of Fort Wayne – and it is futile to try to do so.